Jasper Co.© FPU M4 SOPMOD Limited Edition. Permits required for most of these products in most states. We will ask for ID and Licenses or Permits when required. Extremely High Quality and Detail ..
Made to the highest standards and quality, these Colt M4 Rifles are made to the meet the highest expectations of collectors.. Highly detailed, constructed of metal, Colt Factory Stamped, Full Branded Parts etc..
Full Metal Receiver, with an unbelievable finish and feel, Full Weight, Full Size. The finish and quality is second to none, may even be better than the real thing. FULL FIELD STRIP, fantastic for training, and hands on experience. This is not a solid casting like other replica firearms, every button, switch and part works !!!! You will not find a better REPLICA FIREARM ... F.P.U. Replicas. We only make a few of these Limited Edition M4 Rifles every year or so. 30% Down, Delivery and Balance ETA Mid Feb 2019. Fill in "Buy Now" Form for a complete quote. The M4 carbine is a shorter and lighter variant of the M16A2 assault rifle. The M4 is a 5.56×45mm NATO, air-cooled, direct impingement gas-operated, magazine-fed carbine. It has a 14.5 in (370 mm) barrel and a telescoping stock. 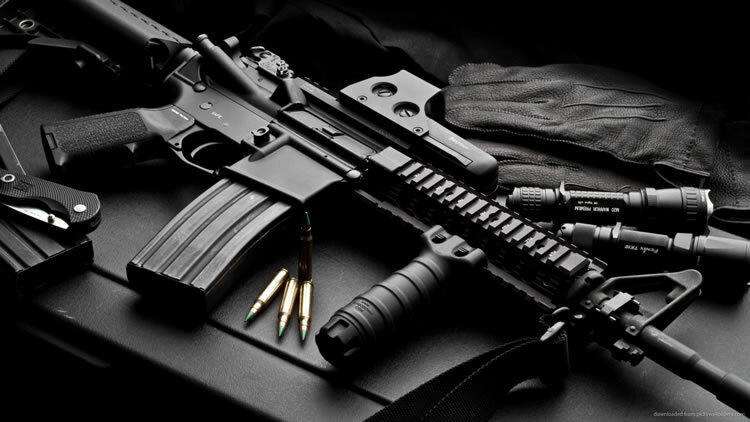 The M4 carbine is heavily used by the United States Armed Forces and is replacing the M16 rifle in most United States Army and United States Marine Corps combat units as the primary infantry weapon. The M4 is also capable of mounting the M203 grenade launcher. The distinctive step in their barrel is for mounting the M203 with the standard hardware. The M4 is capable of firing in semi-automatic and three-round burst (like the M16A2 and M16A4), while the M4A1 is capable of firing in semi-auto and full automatic (like the M16A1 and M16A3). Following the adoption of the M16 rifle, carbine variants were also adopted for close quarters operations. The CAR-15 family of weapons served through the Vietnam War. However, these carbines had design issues, as "the barrel length was halved" to 10 inches which "upset the ballistics", reducing its range and accuracy and "led to considerable muzzle flash and blast, so that a large flash suppressor had to be fitted". "Nevertheless, as a short-range weapon it is quite adequate and thus, (despite) its caliber, (the XM177 "Commando") is classed as a submachine gun." In 1988, Colt began work on a new carbine design called the XM4 combining the best features of the Colt Commando and M16A2 rifles. The XM4 was given a longer 14.5-inch barrel with the M16A2's 1:7 inch rifle twist, to use the heavier 62-grain M855 rounds. The extended barrel improved the XM4's ballistics, reduced muzzle blast and gave the XM4 the ability to mount a bayonet and the M203 grenade launcher. The XM4 was also given the M16A2's improved rear sight and cartridge deflector, as well as other minor refinements. In 1994, the U.S. military officially accepted the XM4 into service as the M4 carbine to replace M16A2s in certain roles. The M4 carbine has also replaced most submachine guns and selected handguns in U.S. military service, as it fires more effective rifle ammunition that offers superior stopping power and is better able to penetrate modern body armor. The United States Marine Corps has ordered its officers (up to the rank of Lieutenant Colonel) and staff non-commissioned officers to carry the M4 carbine instead of the M9 handgun. This is in keeping with the Marine Corps doctrine, "Every Marine a rifleman". The Marine Corps, however, chose the full-sized M16A4 over the M4 as its standard infantry rifle. United States Navy corpsmen E5 and below are also issued M4s instead of the M9. While ordinary riflemen in the Marine Corps are armed with M16A4s, M4s are fielded by troops in positions where a full-length rifle would be too bulky, including vehicle operators and fireteam and squad leaders. As of 2013, the U.S. Marine Corps had 80,000 M4 carbines in their inventory. By July 2015, major Marine Corps commands were endorsing switching to the M4 over the M16A4 as the standard infantry rifle, just as the Army had done. This is because of the carbine's lighter weight, compact length, and addressing modern combat situations that mostly happen within close quarters; if a squad needs to engage at longer ranges, the M27 IAR can be used as a designated marksman rifle. Approval of the change would move the M16 to support personnel, while armories already have the 17,000 M4s in the inventory needed to outfit all infantrymen who need one. In October 2015, Commandant Robert Neller formally approved of making the M4 carbine the primary weapon for all infantry battalions, security forces, and supporting schools in the U.S. Marine Corps. The switch is to begin in early 2016 and be completed by September 2016. 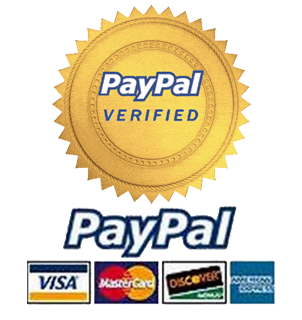 We accecpt credit card via paypal. Ultimately it is the responsibility of the purchaser to be correctly licensed to own and purchase many of these items. We will ask for ID and Permits when required.